We, a small team of volunteers working at Dunkirk refugee camp, are deeply concerned about the many unaccompanied children living in dangerous conditions and the absence of any plan to protect them. 130 more Dubs places announced! We are a team of five volunteers working on the ground in the Dunkirk refugee camp. We want to challenge the Home Office for excluding vulnerable children in the Dunkirk camp from the ‘Dubs Amendment’ scheme. The Dubs Amendment created a scheme for unaccompanied refugee children in Europe to be offered safe refuge in the UK by inserting a special section into the Immigration Act 2016. It passed through Parliament in May 2016 with many Parliamentarians speaking passionately about our collective responsibility to pull our weight to ease the refugee crisis and offer protection to children forced to flee their homes without parents or other family. 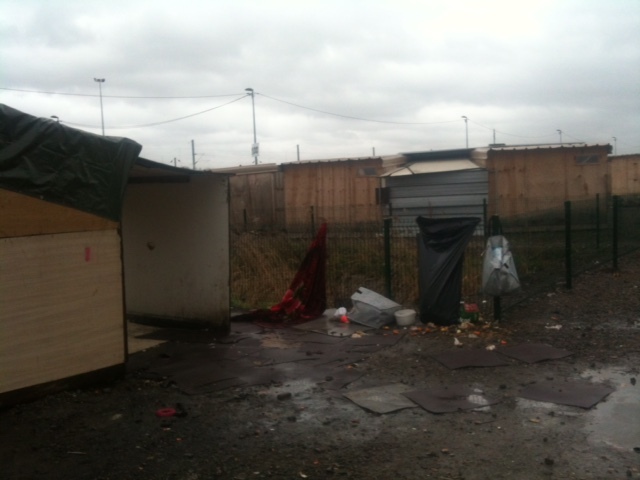 At least 100 unaccompanied children are living in dangerous conditions in the Dunkirk camp. They have been ignored by the Home Office who were entrusted to put the Dubs Amendment Scheme into practice. We urgently need your support to bring a legal case against the UK Government to challenge this failure. If successful, these vulnerable children, and possibly unaccompanied children elsewhere in France should be able to benefit from the vital protection this scheme was intended to offer. 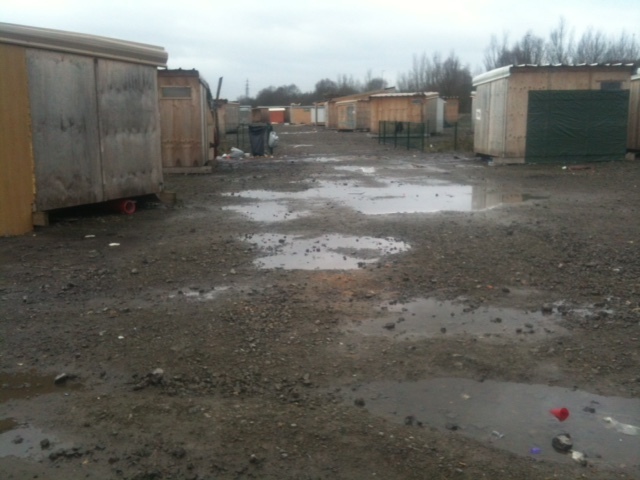 We have seen the numbers of unaccompanied children living in the Dunkirk camp increase over the nine months we have been there and we are deeply concerned that neither the French nor UK authorities have taken responsibility for protecting them. 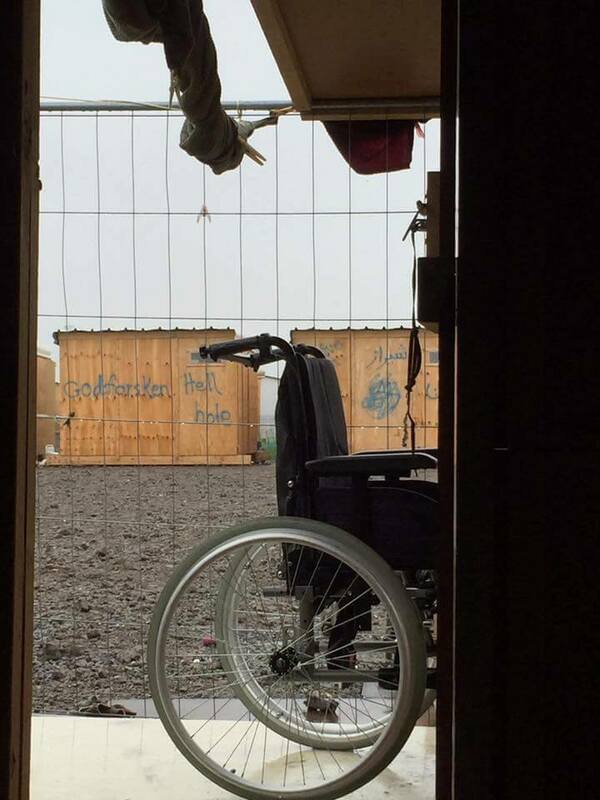 Conditions in the camp are getting worse with the current freezing temperatures. Shelters are not designed to withstand strong winds and heavy rain and have become damaged and infected with mould. The camp’s population has increased beyond capacity: facilities are overused posing severe risks to health and sanitation. Many of these children live in overcrowded shelters – there can be as many as twelve sharing a space designed for just four people. At least 40 children do not have a shelter and are bedding down on marquee floors in communal areas. The children are at risk of trafficking, sexual exploitation and abuse, violence and exposure to drugs. There is regular violence on the camp involving weapons due to tensions between powerful smuggler gangs. To date, the Government has ignored these extremely vulnerable children. We believe that the UK government must live up to its commitments, made in Parliament, to give sanctuary to a number of unaccompanied children. Please help us to get these children to safety in the UK. At the time the Dubs Amendment was passed, it was estimated that there were 90,000 unaccompanied children in Europe. The House of Lords wanted to offer sanctuary to 3,000 children under the scheme. To date, only 200 children have been brought to the UK from France (mainly from the Calais ‘Jungle’ camp) under the Dubs Amendment Scheme. The Government has not yet considered any children from the Dunkirk camp for transfer to the UK under the Scheme. This will be a challenging test case and hard fought by the Government. We have set an initial target of £12,000 to begin preparatory work on court proceedings. We have sent a judicial review pre-action letter to the Government’s lawyers challenging the Home Office’s failure to consider the Dunkirk children for transfer to the UK under the Dubs Amendment Scheme and we expect a response by Monday 30 January. If they continue to exclude the Dunkirk children we will aim to issue court proceedings later that week. With your pledge, our legal team, from Bindmans LLP and Garden Court Chambers, will be able to take the first urgent steps needed to prepare the court claim. 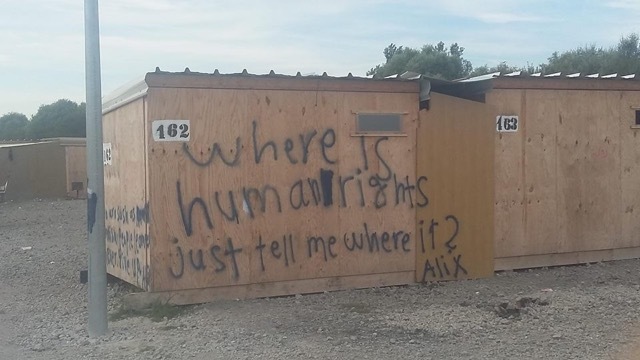 You may have heard about other legal challenges brought by Help Refugees and some individual children who were formerly in the Calais ‘Jungle’ Camp before it was dismantled in October 2016. Amongst other things, they are challenging the criteria the Home Office is using to choose Calais children for transfer to the UK under the Dubs Scheme. We share a common purpose with those legal challenges – to protect vulnerable refugee children in Europe - and hope that, through our own challenge, we can ensure voices of the Dunkirk children are also heard. The has government announced 130 more places under the Dubs scheme, following the realisation of what was described as an ‘administrative error’. We, along with many others who have been campaigning on this issue, welcome this news. It is down the the pressure of campaigns that the government have admitted their shocking mistake. While the news comes just two weeks after over 120 unaccompanied children were made homeless when the Dunkirk camp burnt to the ground, we must continue to apply pressure to ensure the most vulnerable children can access the scheme. Thank you to everyone who has supported our campaign over the last few months. The energy and momentum created has helped our team to raise the profile of the dire situation in the Dunkirk camp, in particular the awful conditions and the risks that unaccompanied children are exposed to. The UK government published new guidance for the Dubs Scheme last month which does not obviously exclude the Dunkirk children. However, it remains unclear how the guidance will be implemented so we have written to the Home Office seeking information on how they intend the guidance to operate in Dunkirk. We are extending our campaign while we await their reply. You may have heard that the government has recently published new Dubs guidance for the remaining 150 places for the scheme. On the face of it the guidance appears to be less restrictive and it does not obviously exclude the Dunkirk children. However, the way this new guidance is implemented is very important – the scheme must be meaningful for the children. We are considering the guidance carefully with our legal team and we will provide a further update on our case soon. A heartfelt thanks to all those who have pledged. The court has stayed our case which essentially means that it has been put on hold and that it might not be heard until autumn. That is too long for the vulnerable children currently living in camp - our case needs to be heard urgently - so we will be asking for an interim hearing to argue why the stay should be lifted. You might have heard that yesterday in the House of Commons MPs voted against Heidi Allen’s amendment to the Children and Social Work Bill by just 20 votes (287-267). The bill would have forced the government to assess local councils’ capacity to take in more child refugees from Europe. It was hoped that this would restart the Dubs Scheme beyond the remaining 150 places. We are devastated by the result of the vote in Parliament yesterday, along with many other who were fighting so hard for this. We will keep fighting to try to make the voices of the Dunkirk children heard and we will continue to campaign for the Government to recognise the vulnerability of these children. Thank you for supporting us to do so. Thank you to everyone who has supported our campaign! We expect to receive a response from the Home Office on Tuesday 28 February, and then we will hear from the court, hopefully within a few weeks, as to whether our case has been given permission to be heard. We are extending our campaign for a further 30 days so that if we are granted permission we can continue to raise funds to protect us against the legal costs run up by Home Secretary (if we lose the case it is likely that the court would order us to pay at least some of the Home Secretary’s legal costs; if we are successful surplus funds will be returned to Crowd Justice and donated to another case, in accordance with their terms and conditions). With the Government appearing reluctant to concede on their decision to close the Scheme after only 150 more children are transferred, there is still lots of work to be done! Write to your MP ahead of the 1 March when Parliament will be voting on the motion - Let them know you want them to reopen the Dubs Scheme!! Thank you for the overwhelming support! We have now served our claim! It is inspiring to know that hundreds of people want to see our Government do something to protect these children. Our lawyers have now submitted our claim at the High Court and served it upon the Home Secretary. We are asking the Court to rule that the Home Office’s exclusion of the Dunkirk children is unlawful and to publish new criteria to apply to Dunkirk children who want to be considered under the Dubs Amendment Scheme. You will have heard about the Government’s appalling decision to withdraw the Dubs scheme altogether. We understand this is likely to be the subject of separate legal challenge. In any case, even if the Government does continue with its policy of withdrawing the scheme, it has confirmed that there are at least 150 places remaining. We see this as an opportunity for the Government to show that it has not forgotten the children of Dunkirk by ensuring any new Guidance does not unlawfully exclude them again. In the meantime, there will be a debate in Parliament on the Dubs Scheme on 23 February 2017 – write to your MP - if enough MPs speak up, the Home Secretary might be shamed into changing her mind! We're about to serve our legal claim! This week has been very eventful for our campaign! Thanks to your generous support, our lawyers have been able to prepare our legal claim and we will shortly be serving it on the Government. This is a huge moment for us: as a small team of volunteers, we never imagined we would be able to take legal action of this kind, supported by hundreds of people. The Government&apos;s announcement this week that they are closing the Dubs Amendment scheme after taking only 150 more unaccompanied refugee children from Europe has deeply concerned us. We have signed Lord Alf Dubs&apos; petition against this decision. We hope you will too. We are determined to not let this halt our challenge and we will continue to ask the Government to look again at the vulnerability of the children of and to publish criteria to enable some of these desperately vulnerable children to benefit. In the words of Barbara Winton, "Every single child’s life is worth every single thing we can give." With your support, we are now ready to take our case to the next stage: asking the court for permission to proceed with the case. We still need to raise significant sums to cover the costs of this stage of the case and to help us with our costs exposure, if we do not succeed. Following us on Twitter - we&apos;re new! Chipping in again - every little makes a big difference! We have reached our first target - THANK YOU! We have reached our first target! We are blown away by the support everyone has shown - in just four days, we managed to raise over £12,000! We are so proud to be part of an amazing community of people who want to see this change happen. THANK YOU to everyone who has pledged and shared our campaign far and wide. We&apos;re off to a promising start and now gathering speed towards our stretch target (more detail about the additional funds needed to come with next update). Disappointingly, the Home Office has asked for more time to respond to our pre-action letter. We are now expecting their response on Wednesday afternoon, 1 February 2017. A massive thank you for your continued support. A further update to follow soon!